QUALLE // The round side table has an iron tabletop resting on seven individually formed round bars. 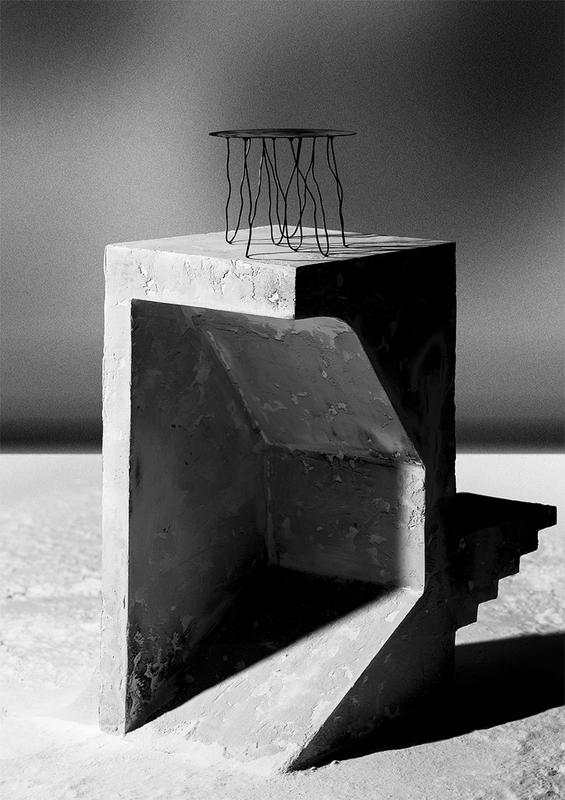 The “playfully” decorative table legs were welded onto the table top using a sophisticated method which allows the weldseams to remain invisible to the viewer. Colors: Orange, Black, Ivory. Height ca. 43cm, ø ca. 54cm.